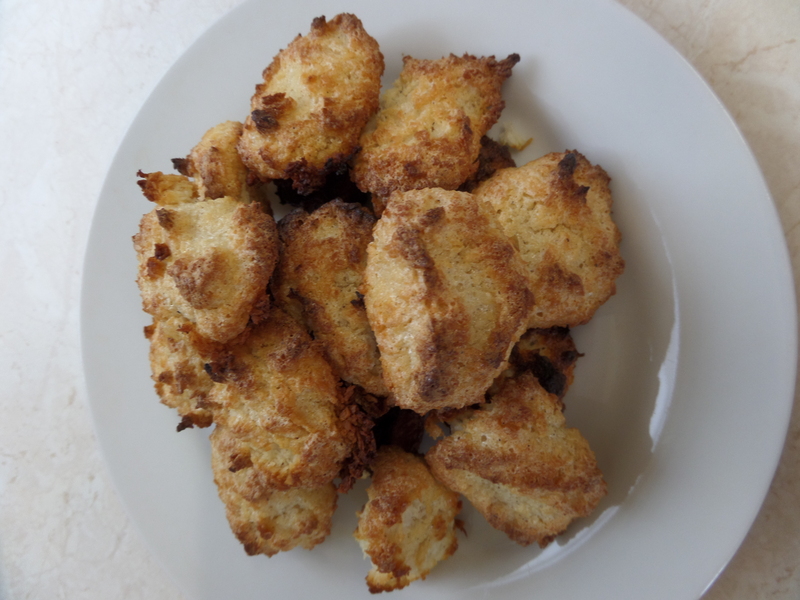 Yay – it feels like a while since I’ve posted a coconut-heavy recipe! Living up to the blog name at last. 1. Whip your egg whites with an electric whisk on high for about 3-5 minutes. You want them to form stiff peaks. 2. Add your pinch of salt and vanilla. While still whipping on a low-medium speed, slowly add in the honey. Keep whipping until all combined. 3. Using a spatula, stir in the coconut and arrowroot. Chill in the fridge for 20-30 minutes to improve the consistency. Pre-heat the oven to gas mark 5. 4. Portion out and shape (if you like) the macaroons on a lined baking tray. Bake for around 15 minutes, or until the tops begin to turn golden. Try not to eat the whole lot in one go! Note: although I try not to use sweeteners like honey as much as possible in my bakes, I’ve found that macaroons just don’t work as well without a good dollop of honey. Any more than 1/4 cup would be unnecessarily sweet, I feel. Posted in cookies, dessertTagged coconut, egg whiteBookmark the permalink.